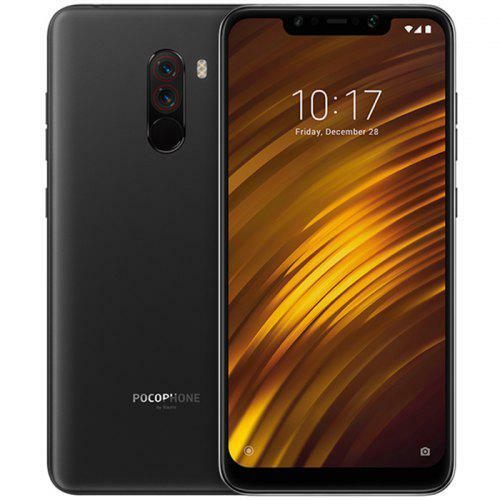 Home Custom Roms Xiaomi Pocophone F1: How To Get Android P? Xiaomi Pocophone F1: How To Get Android P? Last year when Xiaomi released The Xiaomi Pocophone F1 it took the smartphone world by storm. The device was a powerhouse. Packing a flagship grade Snapdragon 845 it beat every phone in its price range when it came to performance. So it is no wonder that Xiaomi sold quite a lot of these. But there was a problem. People in the west aren’t too keen on using Chinese OEM skins even the good ones like the MIUI, which is present on the Pocophone F1. People wanted stock android. Well it turns out this can be solved quite easily. If you too are one of those people who want to have stock android on their phone then stay and follow me. Installing custom recoveries and flashing custom roms can result in device failures and other issues may pop up at any time. So do this at your own risk. For this step you need a Android P GSI image of your choice. And thats it folks. Enjoy your new Android P on your Pocophone F1. Be sure to give us your feedback on this guide and don’t forget to comment if you have any questions or if you just want to say Hi. We love a Hi! Previous articleLG G8 ThinQ Leaks..Again!